Here you’ll find different arrangements to discover nature further, accompanied by a specialized nature guide. 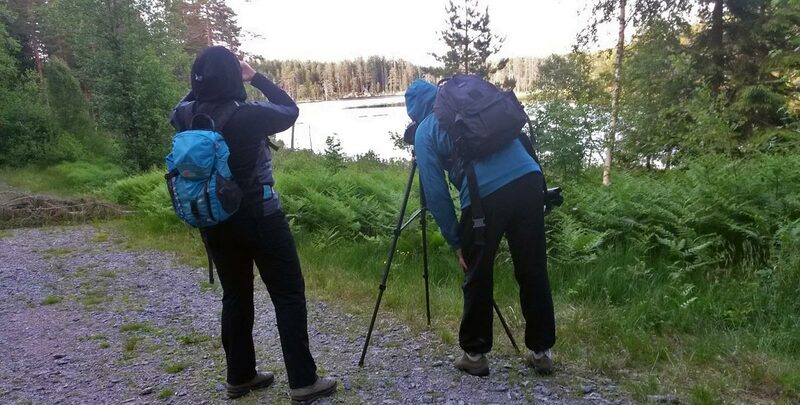 In the spring there are several interesting tours possible to follow and watch specific birds in their courting game, such as the grouse and capercaillie. Or you can discover owls in the evening with their specific sounds, night jar or cranes. 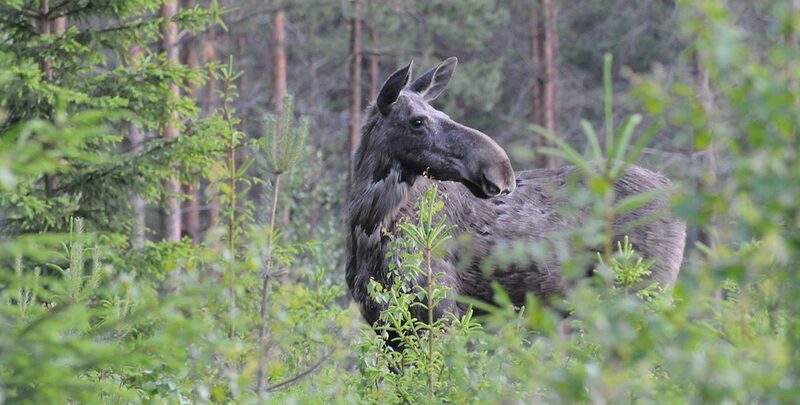 Try a wildlife safari where you can discover deer, foxes, wild boar, moose and beavers. Special boat trips in a wooden canoe to explore the area are available from May to the end of September. Another challenge for autumn is to search for edible nature and to make a real meal out of it. Look below for more info, call or follow us on Facebook. Experience Tiveden from the water. 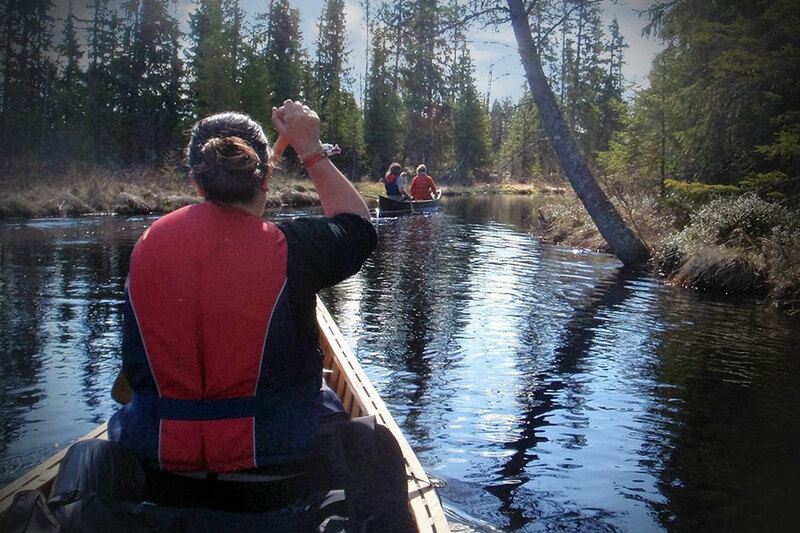 In a real wooden canoe, with guide Lovisa, you slowly paddle over small, quiet streams and clear lakes. Her Traveling Traceless tours create a special tension between nature and human influence. 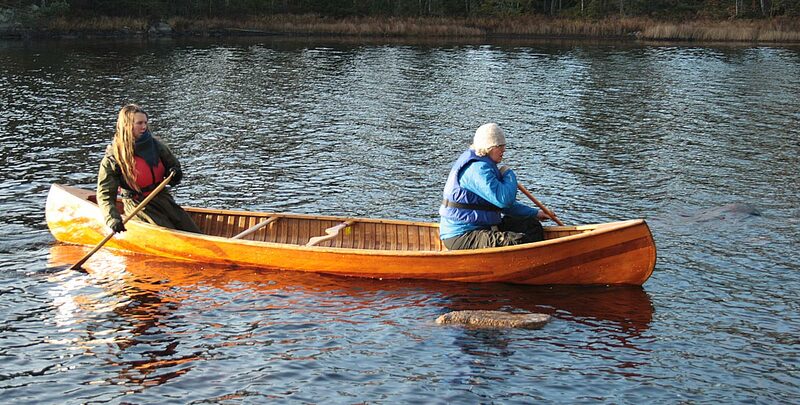 During this day trip of about 4.5 hours you will learn about the original special use of these light agile canoes. In addition, it is a magical experience to explore nature and its fauna from the water. The tour starts with a thorough workshop to learn the technique and get instructions to paddle safely. Then the tour starts by entring the water. 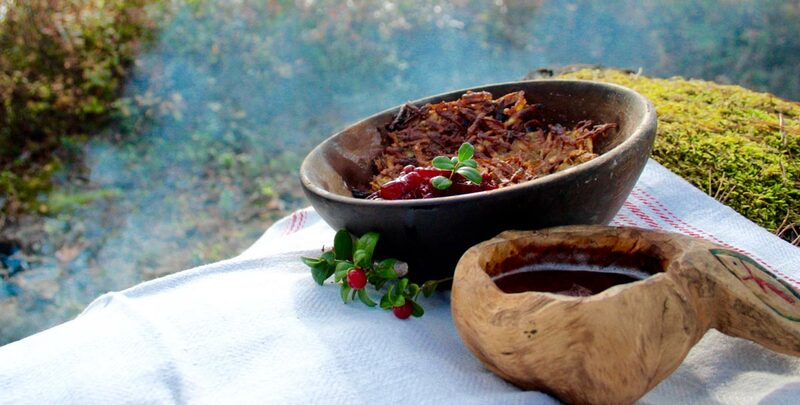 Along the way there is also time for a typical Swedish fika and we also make lunch on the open fire over land. Day trips can be booked from the beginning of May to the end of September, more than 20 days in advance. 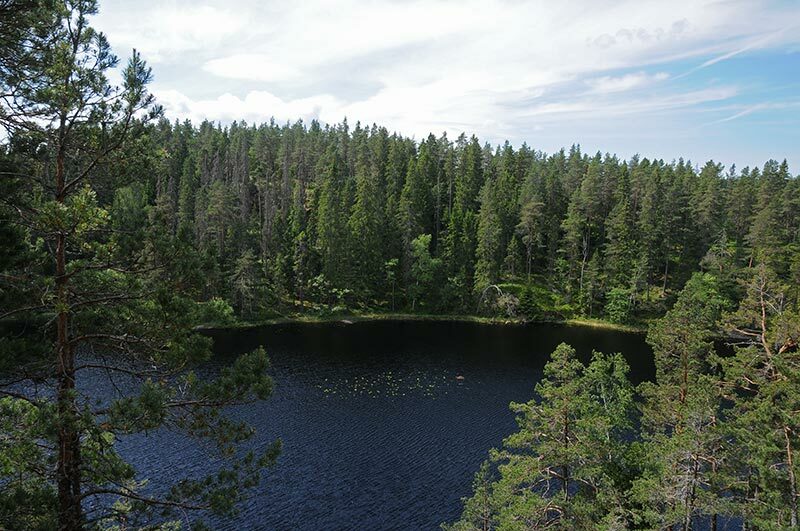 Included are the canoe, paddles, life jackets and knee pads, lunch and fika. Bring your own: clothing adapted to the weather conditions, sturdy waterproof shoes, towel and an extra set of dry and warm clothing and underwear. The day trip costs 950 kr.p.p. Transfer to the starting point 100 kr. p.p. The price is based on maximum of 6 people. There’s a thin crisp to the air and a stillness to the woods we’re walking through. A stillness only to be found in early autumn. Red lingon-berries are gleaming like rubies from the lower bushes. All together we collect them and find ourselves a sunny bank by the small lake. There we make camp, cooking a traditional swedish Råraka (potatoe pancake) and making jam from the berries that we’ve just collected. Stories of the past circles around the fire., while yellow leaves are falling. We can hear a black woodpecker drumming and calling. It’s a good day to be outdoors in Tiveden. A guided tour walking in a small group. Skills that will take your next outdoor-adventure to new levels. Bring warm clothes, accordingly to the weather and steady hiking shoes or boots. Booking here on the bookingpage, until 20 days before the trip. 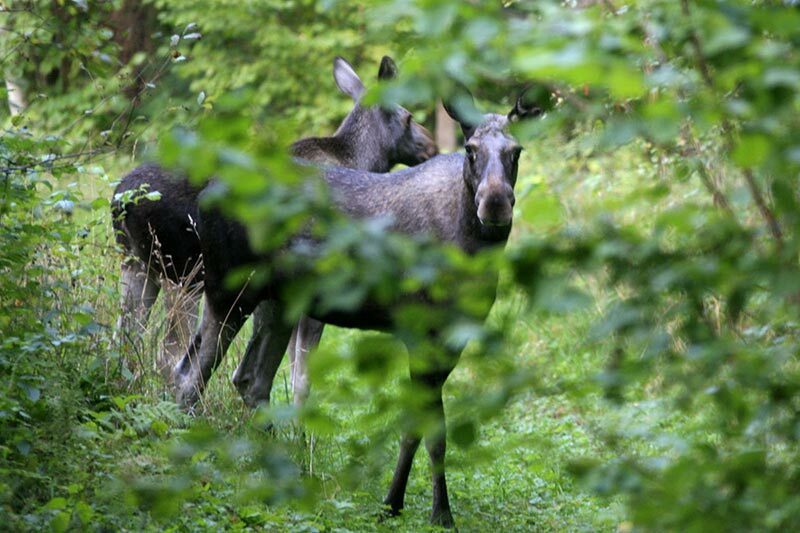 You will also get to learn more about the moose, it´s life and habitats. As well as how you improve your chances to find it. 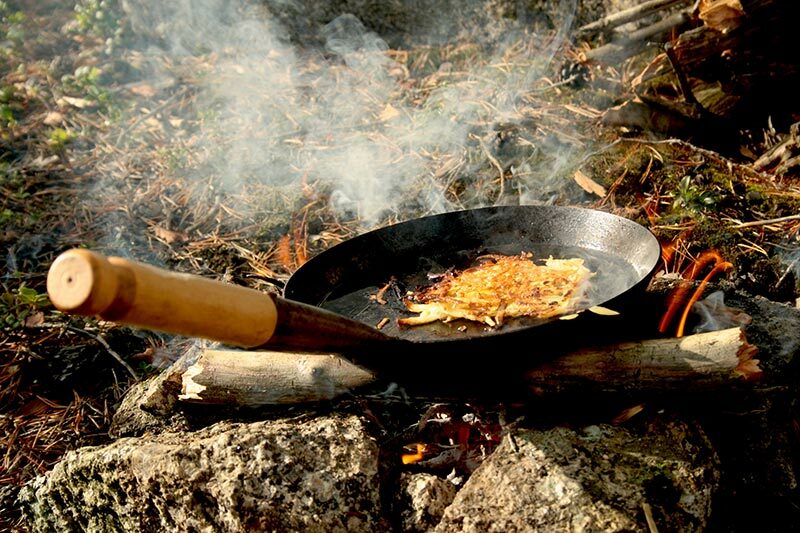 The guided tour starts out in the forest by our camp, where you enjoy a dinner by the campfire. During the meal you will get exiting know-how of the moose and be able to ask all types of questions. Full and satisfied we head out on a easy and short walk to experience the realm of the moose. We follow their tracks in the marsh. Look for sundew and cloudberries. 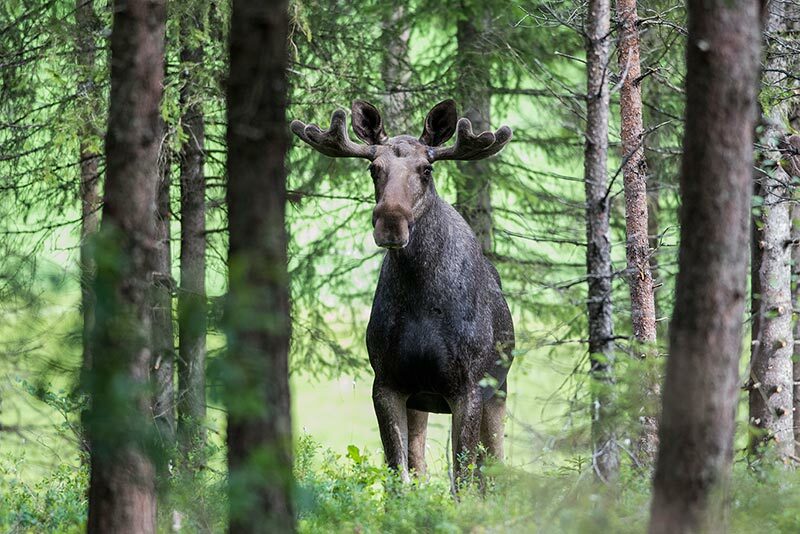 Finally we head back to camp for the safari, searching the king of the Swedish forest. Wear good shoes, hiking boots or rubber boots, bring your camera. 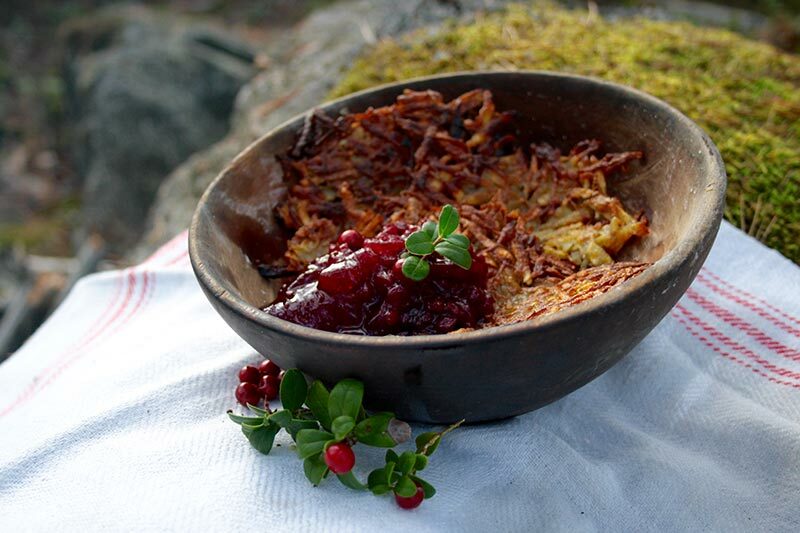 A typical Swedish dinner is included as well as drinks, and of course our famous dessert. The tour takes about 5 hours and are possible on thursdays and sundays. Book this tour here on the bookingpage. Join our guided walk where you experience a part of Tiveden national park where few go. The focus is for you to find your own little piece of mind where you can relax and enjoy the tranquility of nature. You experience the calm and silence of the wilderness. A simple meal is included too. 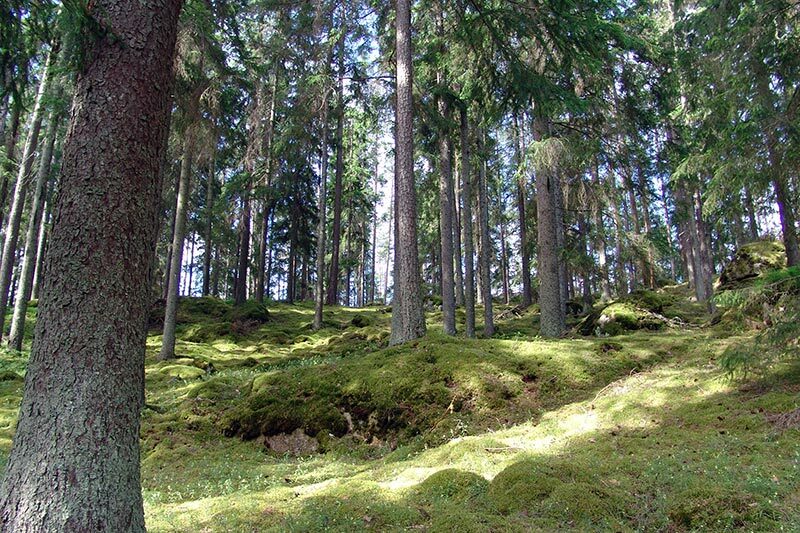 We will take you deeper into the forest during this deep forest walk, so that you will be embraced by the healing forces of nature as well as your own calm. Our guide will tell you somethings about the nature you will meet in the beginning of the tour. The main part of the walk is focused on calming down, find your piece of mind and enjoy the silence of nature. On your blanket you will experience the closeness to nature and you might even fall asleep. Bring with you good shoes – running shoes or hiking boots, a meal is included. The tour takes about 4 hours, bookable on wednesdays here on the bookingpage. The capercaillie and the black grouse show a magical and exciting courtship in the early spring days. Just after sunrise, these birds show up in the wetlands in their full array. You can choose between two different packages with guide David. Before sunrise you will be picked up to go to the marsh and see challenging game of the grouse. The males then seem to have put themselves up to defend their territory. The characteristic sound is the only thing that breaks through the morning silence. The dancing then starts and can become so wild, that there are feathers flying around. The grouse on this spot has played the same game for centuries. 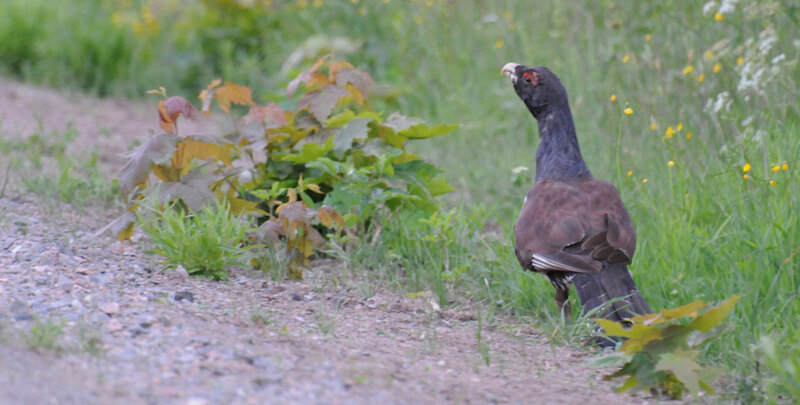 For the game of the capercaillie, one stays overnight in a hide-out in the middle of nature. It requires absolute silence and endurance to view the game of the capercaillies. Included in this excursion is a lot of information about the life of the fowl and their whereabouts. In addition, you will receive breakfast and coffee or tea. Warm clothing is recommended, as well as good waterproof footwear. You will receive information about the excursion in the evening. Start from 3 am to 4 am to 11 am, depending on the sunrise time. Start at 4.30 pm Overnight in nature in a hide-out in a sleeping bag. until 10.00 am Together with guide David you can watch the spectacle, until 11.00 am. Transport to Hamgården, overnight stay in a modern hotel room. Price 3100 kr p.p. for 2 nights. Bookable in April, here on the bookingpage. Combination of these packages possible.